BEDMINSTER, N.J. — President Trump predicted Tuesday that gross domestic product growth in the next quarter "could be in the 5s" — that is, higher than 5 percent. 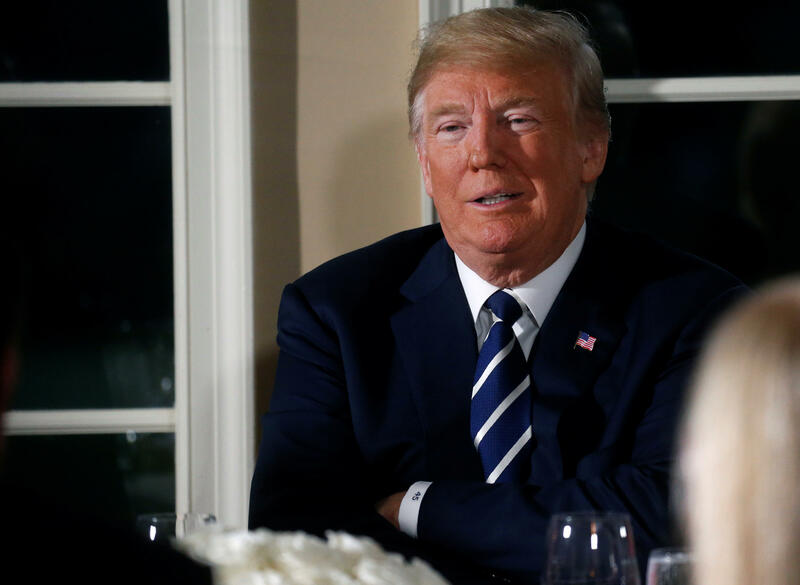 Mr. Trump made the bold prediction Tuesday evening before a dinner at his Bedminster, New Jersey, golf resort with leaders from FedEx, Mastercard, Boeing, PepsiCo and other companies. The president also hailed his own economic and trade policies, saying he is "taking our economy to incredible new heights" in spite of fears of damage from the escalating trade disputes he has provoked. "You're gonna see some really super growth," he promised. He acknowledged, "We're in a little bit of a fight with China" over tariffs, but predicted a "fantastic trading relationship" eventually. On Tuesday, the Trump administration finalized a new round of 25 percent tariffs on an additional $16 billion in Chinese imports. The tariffs go into effect on Aug. 23. The government reported last month that the economy grew at a rate of 4.1 percent in the second quarter, the fastest pace in nearly four years. At the end of his remarks, President Trump asked the business leaders to introduce themselves. A number of them, including Fiat Chrysler CEO Michael Manley and Boston Beer founder Jim Koch, touted the president's economic policies, including his tax cut. The introductions began to resemble the scene at many of Mr. Trump's Cabinet meetings, in which the president's appointees take turns praising him. Trump jokingly noted that everyone at the dinner appeared to like him.